Director Martin Scorsese's masterpiece Hugo receives 11 Oscar nominations which include Best Picture, Best Director, Best Original Music, Best Cinematography, Best Editing , Best Production Design, Best Costume Design, Best Make-up & Hair, Best Sound--Philip Stockton, Eugene Gearty, Tom Fleischman, John Midgley, and Best Special Visual Effects. Acknowledging all the nominations, Director Martin Scorsese said: "I am deeply honored to have been nominated by the Academy for my work on Hugo. Every picture is a challenge, and this one--where I was working with 3D, HD and Sacha Baron Cohen for the first time--was no exception. It's a wonderful feeling to know that you've been recognized by the people in your industry. I congratulate my fellow nominees. It's an impressive list, and I'm in excellent company." Set in the 1930s Paris, an orphan who lives in the walls of a train station is wrapped up in a mystery involving his late father from whom he receives a hidden message and an automation. Based on the book The Invention of Hugo Cabret by Brian Selznick, it is about a 12-year-old orphan who lives in the peripheries of a Paris train station in 1930 and a mystery surrounding Hugo, his late father and a robot. The cast of Hugo is led by Ben Kingsley as Georges Melies, Sacha Baron Cohen as Station Inspector, Asa Butterfield as Hugo Cabret, Chloe Grace Moretz as Isabelle, Ray Winstone as Uncle Claude, Emily Mortimer as Lisette, Christopher Lee as Monsieur Labisse, Helen McCrory, Michael Stuhlbarg, Frances de la Tour, Richard Griffiths, Jude Law, Kevin Eldon, Gulliver McGrath, and Shaun Aylward. 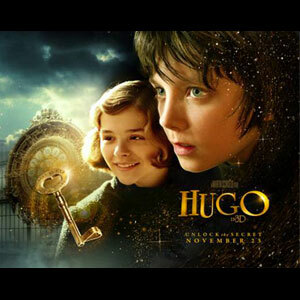 The movie Hugo is distributed locally by United International Pictures thru Solar Entertainment Corporation. A Pre-Valentine treat showing at your favorite theaters on February 12, 2012.